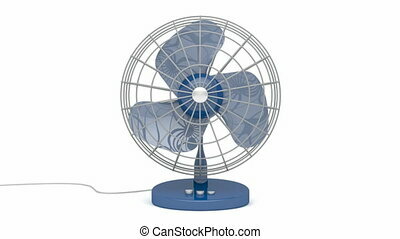 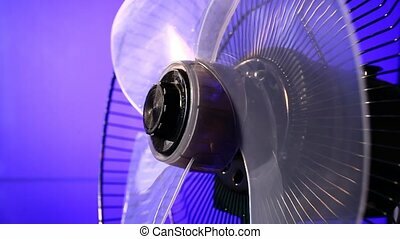 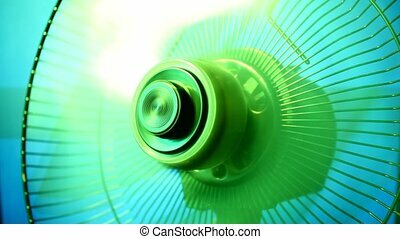 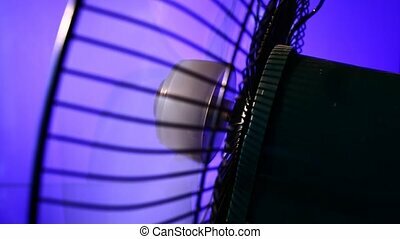 Fan blowing. 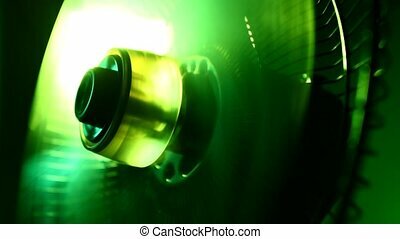 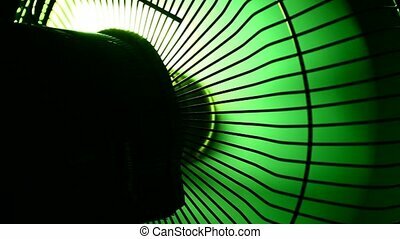 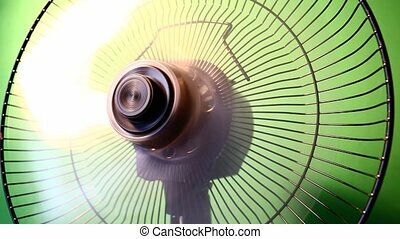 Close up of spinning fan on white ceiling. 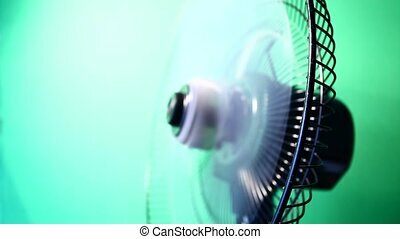 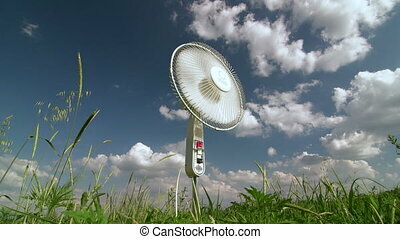 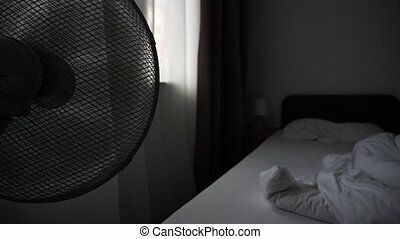 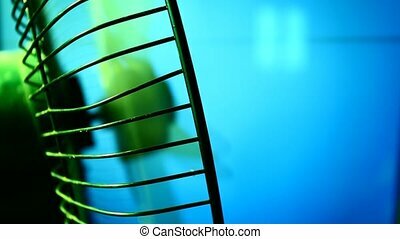 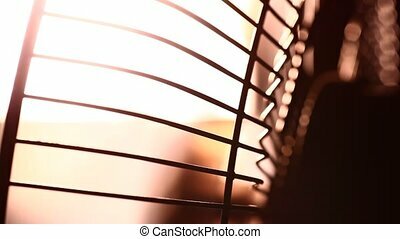 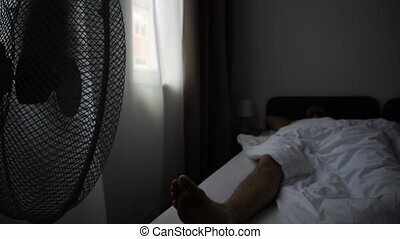 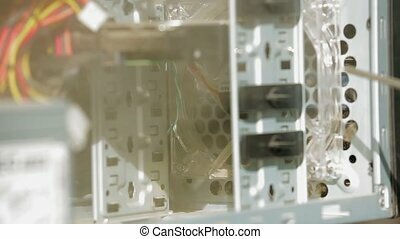 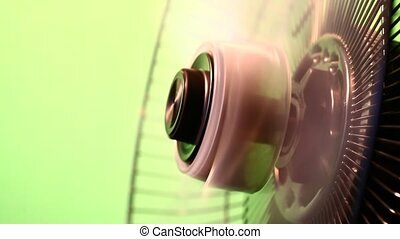 Electric fan turning around, blowing fresh cold air, moving curtain on windows in hotel bed room this warm hot morning.